“Reactive Electrochemical Membrane (REM) Reactors for the Oxidation of Perfluoroalkyl Compound Contaminated Water” (PI: Chaplin). Strategic Environmental Research and Development Program-Department of Defense. (06/01/18-05/31/18) $200,000. 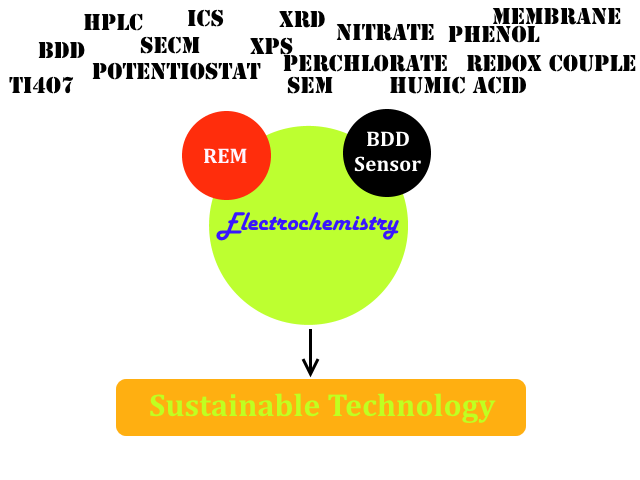 “SusChEM: Collaborative Research: Development of Multifunctional Reactive Electrochemical Membranes for Biomass Recovery with Fouling Reduction, Water Reuse, and Cell Pretreatment” (PI: Chaplin). National Science Foundation, CBET-1604776. (09/01/16—8/31/19) $160,000 (Chaplin portion). “CAREER: Development of Reactive Electrochemical Membranes for Sustainable Water Treatment Applications: An Integrated Research and Education Plan” (PI: Chaplin). National Science Foundation Early Career Development Award Program, CBET-1453081. (02/01/15—1/31/20) $524,000. “Reactive Electrochemical Membranes for Simultaneous Removal of Multiple Classes of Contaminants of Concern in Drinking Water Systems” (PI: Chaplin).Water Innovation Network for Sustainable Small Systems (EPA). (Completed 05/31/18) $50,000. “Commercialization Potential of Reactive Electrochemical Membranes” (PI: B. Chaplin). UIC Chancellor’s POC Fund-Phase I. (Completed 09/01/16) $35,000. “Collaborative Research: Development of Anti-fouling Electrochemical Membranes for Water Treatment” (PI: B. Chaplin, Y. Elabd (Texas A&M University)). National Science Foundation, CBET-1159764. (Completed 7/31/16) $246,942 (Chaplin portion). “Marcellus Hydrofracture Water for CONSOL Energy, Phase 2: Removing Sulfate From Acid Mine Drainage” (PI: F. Cannon (Penn State University), and B. Chaplin).Ben Franklin Technology Partnership of Central and Northern Pennsylvania. (Completed 07/30/13)Chaplin portion $5,000. “SBIR Phase II: Low-cost Long-life Diamond Electrodes for Wastewater Treatment using Advanced Electrochemical Oxidation” (PI: B. Chaplin). Advanced Diamond Technologies. Subcontract from National Science Foundation-SBIR, IIP-1058505 (Completed 03/31/13) $83,147. “ATR-FTIR Spectroscopy of Electrochemical Catalytic Reactions in Aqueous Systems at Doped Diamond Film Electrodes” (PI: G. Schrader, Chaplin, J. Farrell). National Science Foundation, CBET-0931749 (Completed 09/15/13):$343,308. “Development of Reactive Electrochemical Membranes for Water Treatment” (PI: B. Chaplin). Villanova University, Office of Research and Sponsored Projects—Summer Research Fellowship/Research Support Grant. (Completed 8/31/11) $15,000. “Advanced Electrochemical Oxidation” (PI: B. Chaplin). Advanced Diamond Technologies. (Completed 12/31/10) $30,000. “SBIR Phase I: Low-cost Long-life Diamond Electrodes for Wastewater Treatment using Advanced Electrochemical Oxidation” (PI: B. Chaplin, J. Farrell). Advanced Diamond Technologies. Subcontract from National Science Foundation-SBIR, IIP-0945935 (Completed 07/01/10) $49,723.